seafarers designated to take charge of fast rescue boats in conformity with Table A-VI/2-2 of STCW Code. 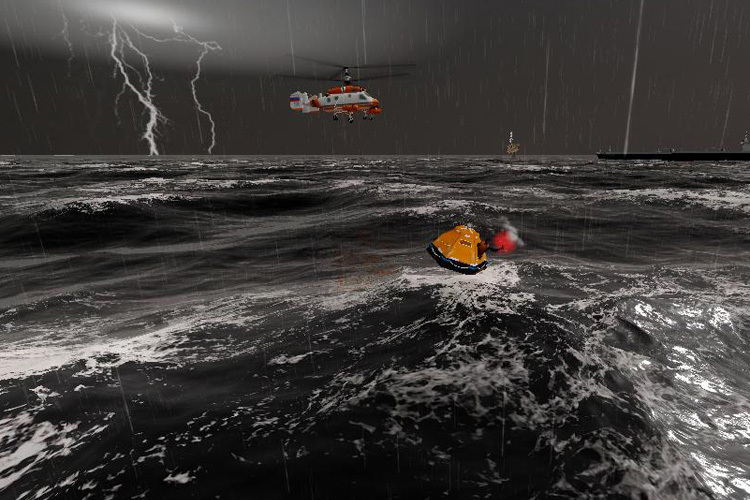 Survival Craft Simulator is developed to provide the training, demonstrating and evaluation of competence of seafarers who are designated to take charge of survival craft, rescue boats and fast rescue boats in accordance with Section A-VI/2 of the STCW Code. target models of merchant vessels more 4100 grt, liferaft, helicopter. 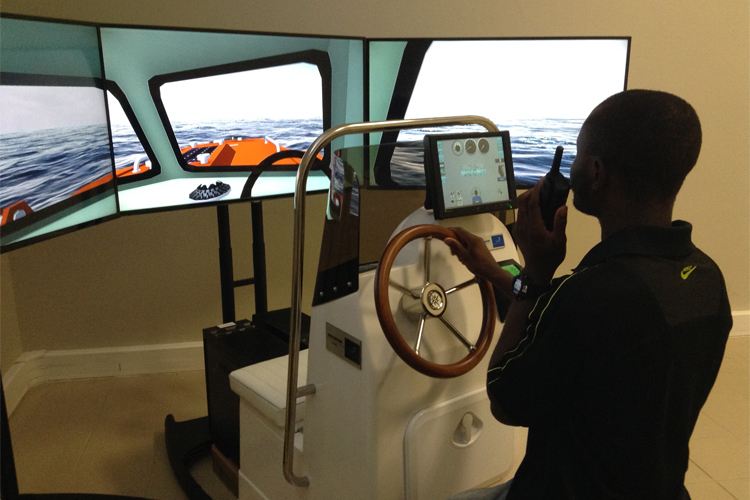 The simulator consists of the Instructor WorkPlace (IWP) software and one or several Students WorkPlaces (WPS). Instructor WorkPlace (IWP) manages the process of training the student. 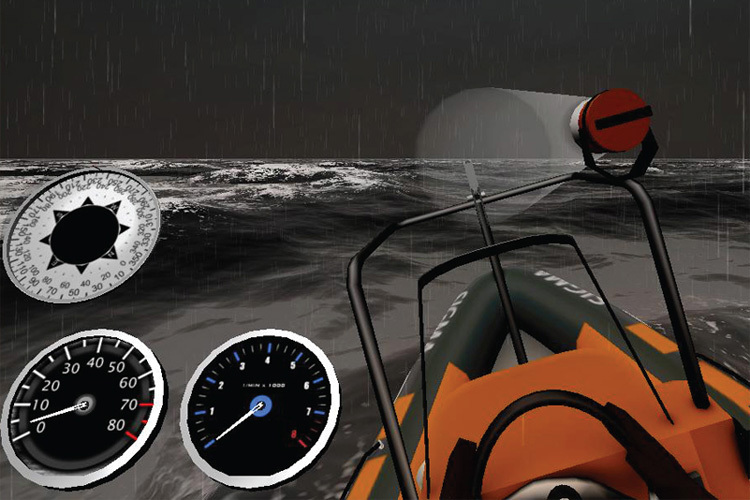 activation of distress signals to the liferaft. Students workplace (WPS) provides the student with the opportunity of multiple fulfillment of the exercises set by IWP and improving practical skills. WPS can be presented in base or compact configuration. Base configuration includes steering stand with built-in steering wheel, sensor control panel and visualization system on LCD panels. Compact configuration includes steering stand and visualization system of the surfaced plant which come out on the display of the monitor. 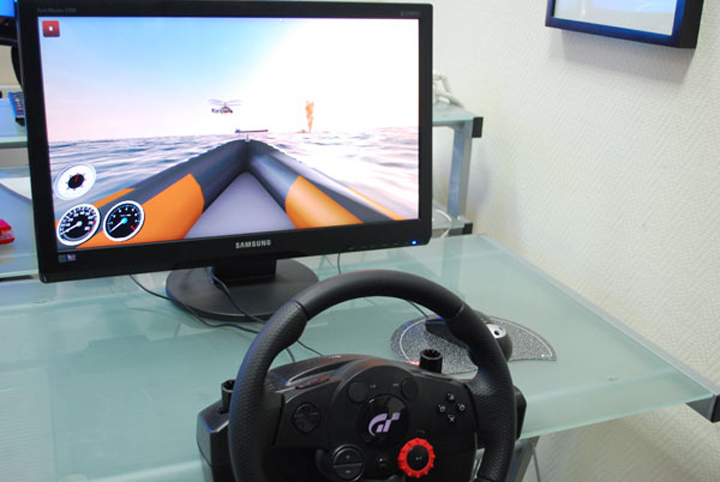 Steering is carried out with the help of joystick and mouse. 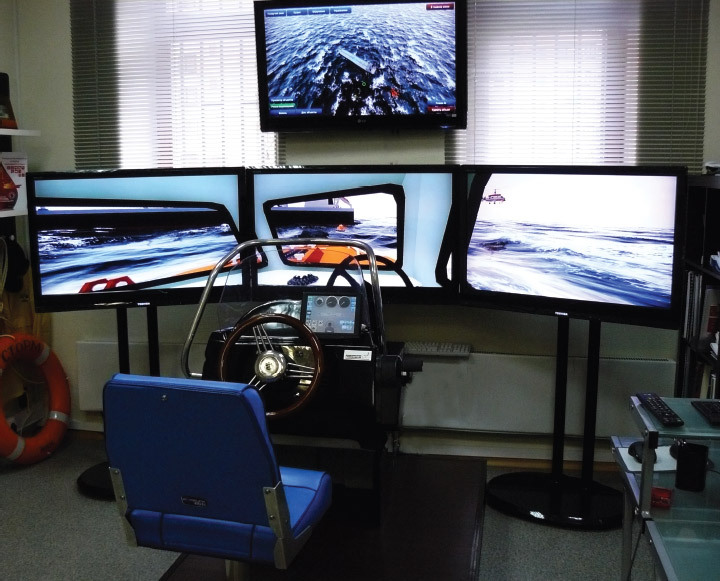 Students workplace (WPS) imitates steering stand including steering stand with built-in steering wheel engine control (throttle/gears), sensor control panel including magnetic compass, navigation lights сontrol buttons, search light control buttons, speed counter, panel for activation of distress signals; and visualization of the surrounding surface situation. 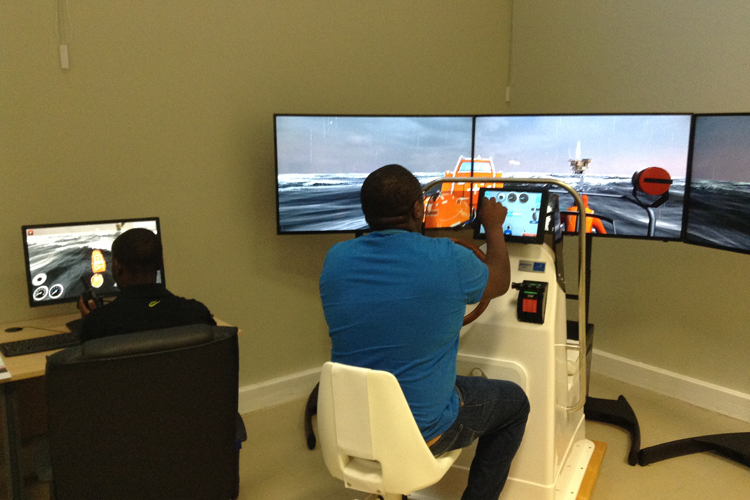 The simulator is supplied with a set of technical and operational documentation, including training and guidance on practical training. 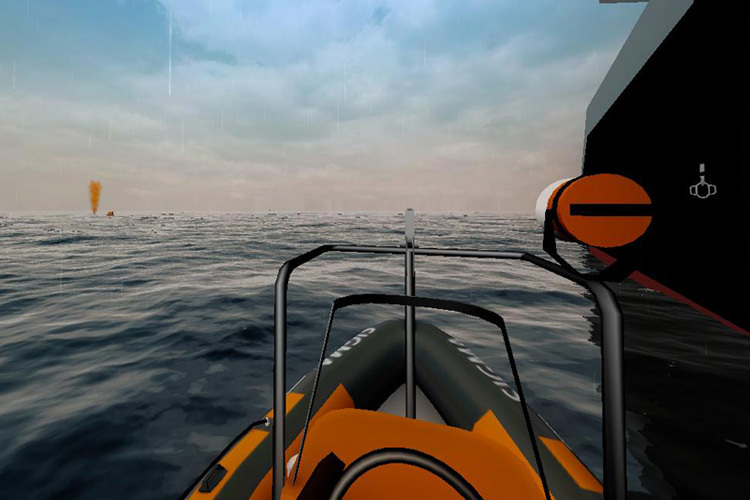 Communication between survival craft, ship and a helicopter.